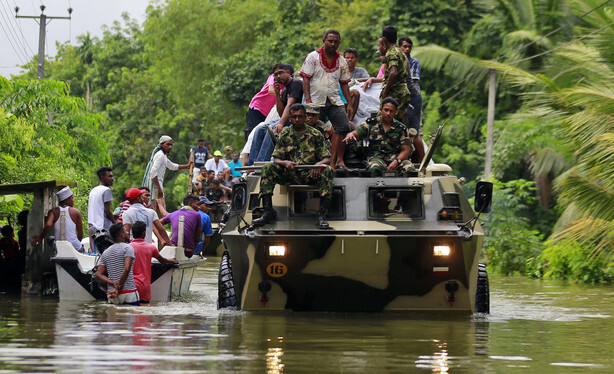 Sri Lanka was severely affected by massive torrential rain and subsequent flooding in the past several days. 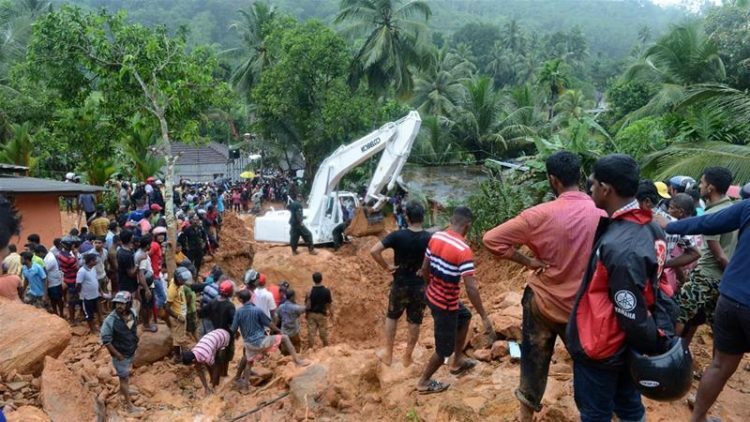 According to the latest report as per the May 29th morning, by the disaster management center in Sri Lanka, the number of deaths reported in floods and landslides was increased to 164 while 104 people had gone missing. This disaster was widespread into 15 out of 25 administrative districts in the country displacing nearly 500,000 people. 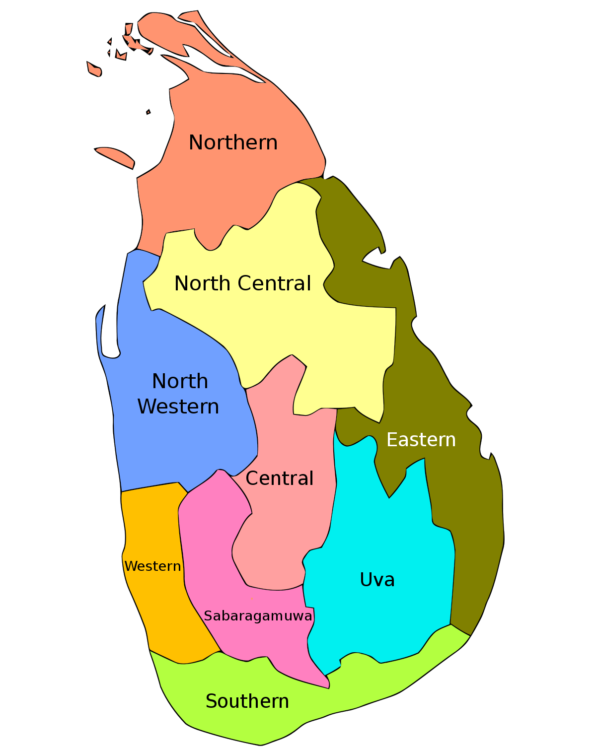 Western, South, Southwestern, Sabaragamuwa provinces and the western slopes of the central mountains areas are the worst hit by the event. Landslide warnings are still issued for several districts and flooding situations in the downstream areas of the major rivers are still developing and the residents were asked to evacuate from the surrounding areas. 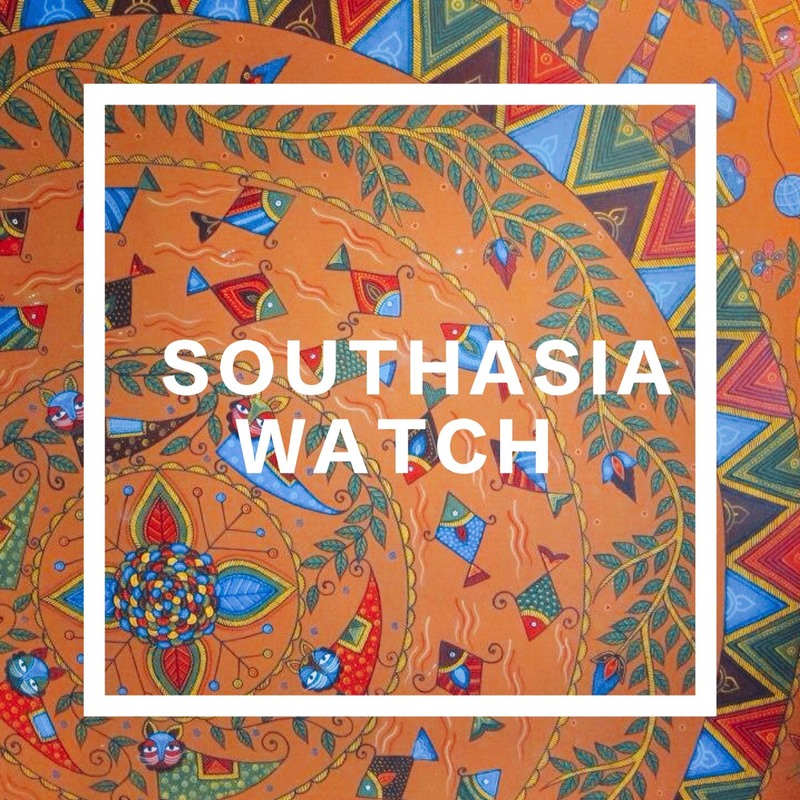 This extreme disaster situation was triggered by the early South-West monsoon rains. The Department of Meteorology of Sri Lanka expect further rain in the coming days due to the fact that the South-Western monsoon has been established in the region that brings more moisture rich air that could form rain clouds as well due to the tropical storm (“MORA”) formed in the Bay of Bengal in the Indian Ocean. The disaster is described as one of the worst-ever calamities since the 2003 floods. Further rain will endanger the rescue operations as well as trigger more landslides in the already soaked hilly areas and elevate floods affecting more people in the country. There’s another threat as water borne diseases like Cholera, Diarrhea, and Dengue-like diseases might spread by an increase of mosquito by stagnant water after the flood situation is easing. Floodwater and landslides hampered vehicular movement and have completely isolated certain areas. According to the National Water Supply and Drainage Board, the water supply too has been disrupted due to the current situation in certain areas and warned that water supply for more areas to be suspended if the flooding situation continues. Electricity supply has also been suspended due to the damages to the power supply lines and to lower the accidents. The government has also closed schools in affected areas and all scheduled national examinations were also canceled. Currently, the government agencies, the armed forces, and Police along with volunteers from the general public have now launched an extensive rescue and relief operations in the affected areas. Some reports indicate there are people in some remote villages were left out with no water or food for days. 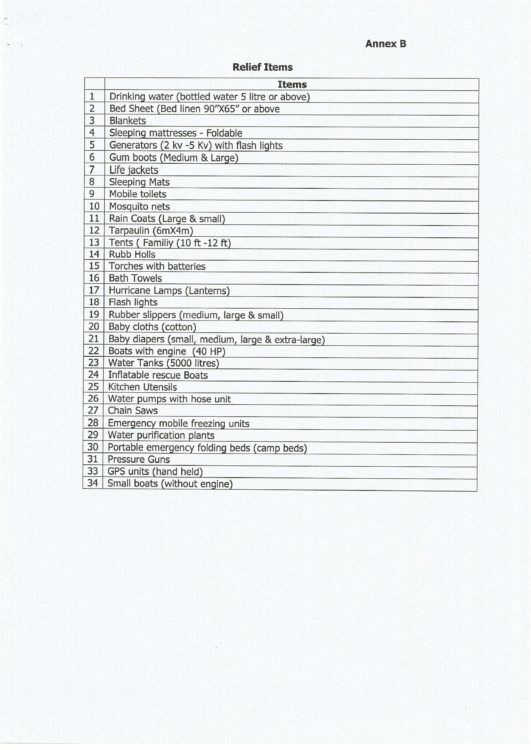 Higher water levels and blocked roadways cause rescue and relief operations extremely difficult and some areas air aid is the only option for relief work. 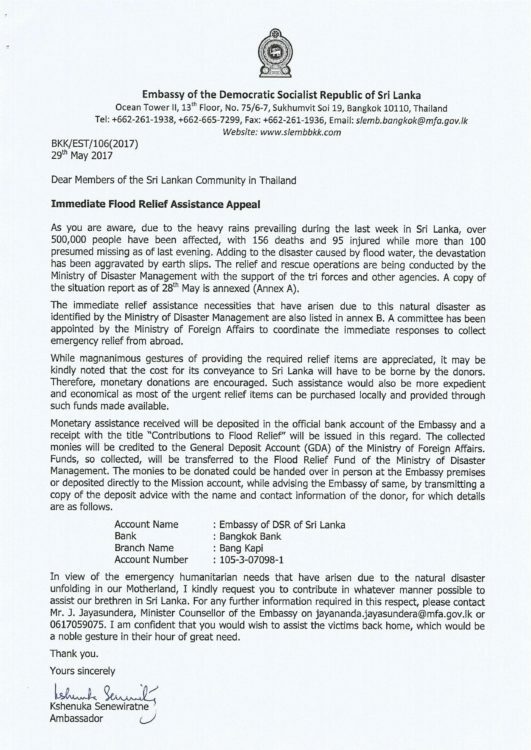 Sri Lanka is accepting international support for relief missions as per now India, China and some other countries as well as major International non-governmental organizations have offered relief donations. The authors are students from Sri Lanka and currently studying at Taiwan International Graduate Program at Academia Sinica, Taiwan.